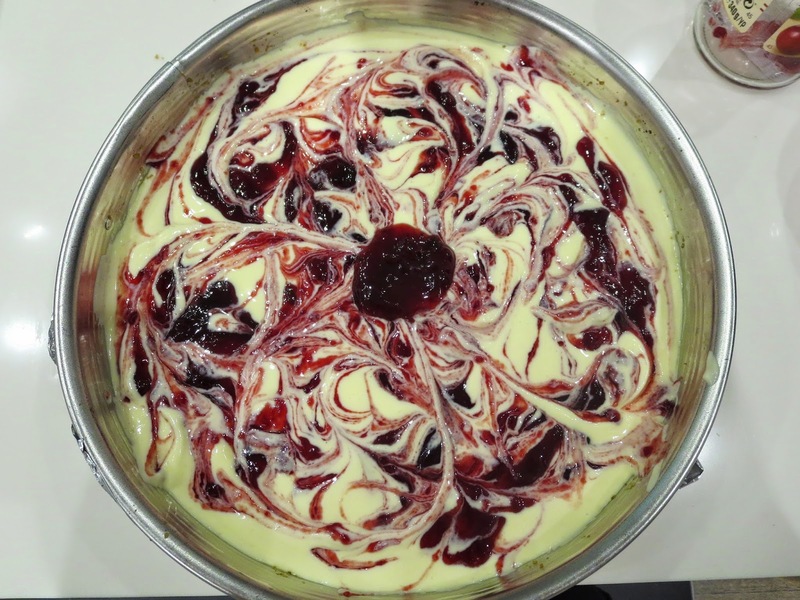 For easter I made a cherry swirl cheesecake and even though it's very time consuming, it's not actually difficult to make, which is why I decided to share it with you. I got the recipe from http://www.laurainthekitchen.com. It was my first time baking a cheesecake and I'm happy to say everyone praised it. I didn't find it perfect, but you know what they say "we are our own worst critic". 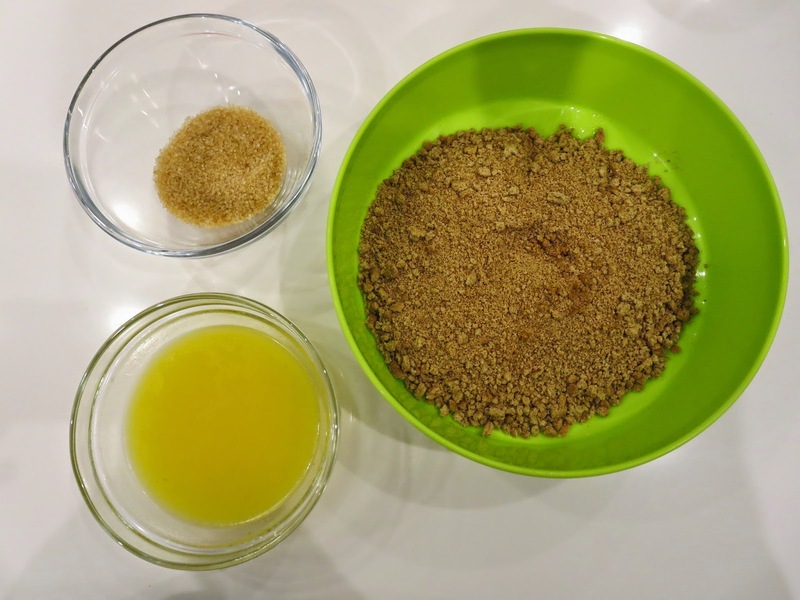 These ingredients make the crust : you just mix everything in a bowl until every crumb is coated with butter. Afterwards press the mixture in a well buttered pan and go up the sides a little. For best results use a springform pan with removable sides, which you will wrap in aluminium foil. Bake for 10 minutes at 176 degrees Celsius. Mix the cream cheese, sour cream, vanilla extract, lemon zest and eggs in a standing mixer for a few minutes. Add the flour and sugar and mix until combined. Pour the mixture in your pan and add dollops of marmalade all over the top. Take a knife and swirl it around creating a random pattern. The springform pan should go in a large baking pan which you can fill half way with water- the cheesecake bakes in a water bath. Bake it for an hour, then leave it to cool in the oven with the door slightly open for another hour. Take it out and leave it to cool on the counter and the pop it in the fridge overnight. Your whole house will smell amazing and it will test your patience. For more details check http://www.laurainthekitchen.com . 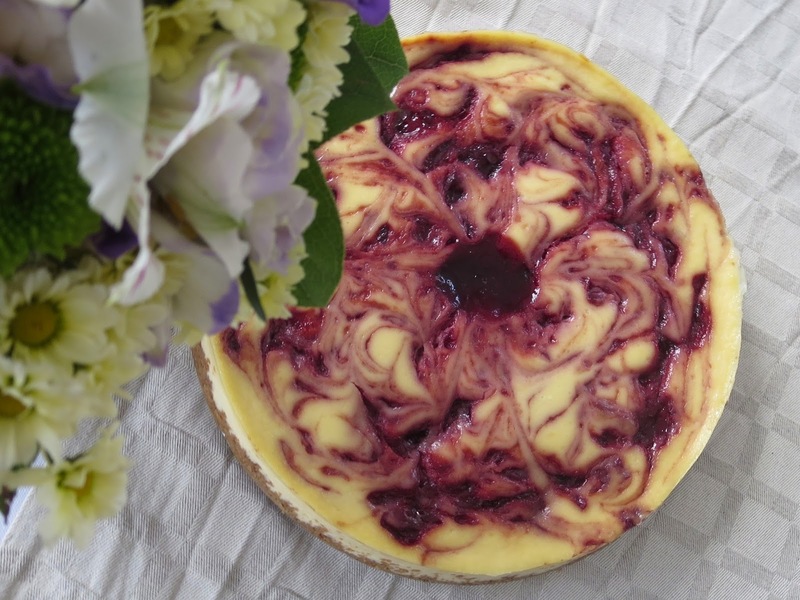 Her raspberry cheesecake was my inspiration and I usually love most of her recipes. Thank you ! Will do! Thanks! It tasted really good! Thanks for sharing this awesome post..